I've been working as a freelance for the last 10 years. I had so many ups and downs. Working as a freelance is hard, you are always a one-man army that had to do so many works in very different areas. Anyone that works in this way can tell you. So It's time to change. Arsies Studio Closes to being integrated into Hydra Studio, Where I'm going to work as head of the painting Department (or "painting Head" as they like to call it). Working with a Team means I can focus on my painting work to release more and better miniatures, tutorials, and multimedia resources. It will take some time to complete integration with my new teammates, but I'm sure in a couple of months we'll be working as one unit and producing exciting things. 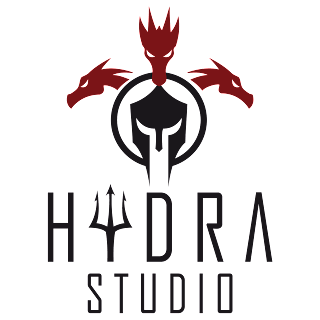 For those who don't know them, Hydra Studio is a very young enterprise that is entering strongly into the modelling market, focused until now in development 3D sculpture (also for the miniature world as animation or video games) and 3D Printing, we are slowly creating new departments with the integration of Arsies Studio as the Painting Department and creating new ones that will be working soon as the Casting Department. We're also finishing the accommodation of our new HeadQuarters in a big Industrial ship in La Línea de la Concepción (Spain), and we'll be able soon to show and offer new experiences from there.